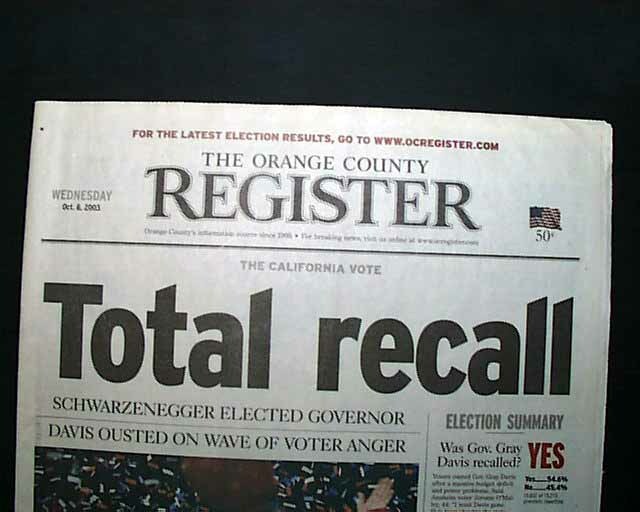 This highly displayable issue has the full banner heading: "Total recall", with subheads: "Schwarzenegger Elected Governor" and "Davis Ousted On Wave Of Voter Anger." Having this report in an Orange County newspaper is a bonus. 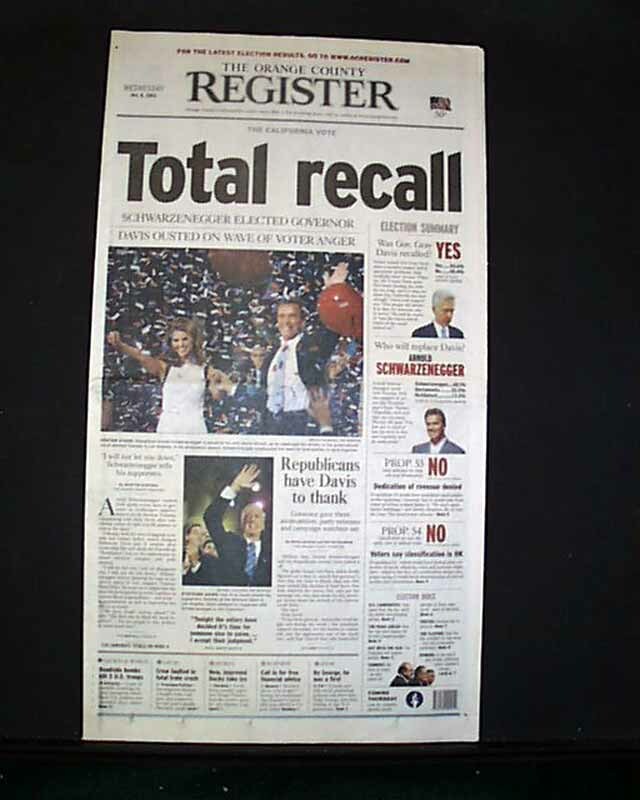 The front page includes a nice color photo of Arnold Schwarzenegger with his wife Maria Shriver. Additional coverage is found throughout on inside pages. 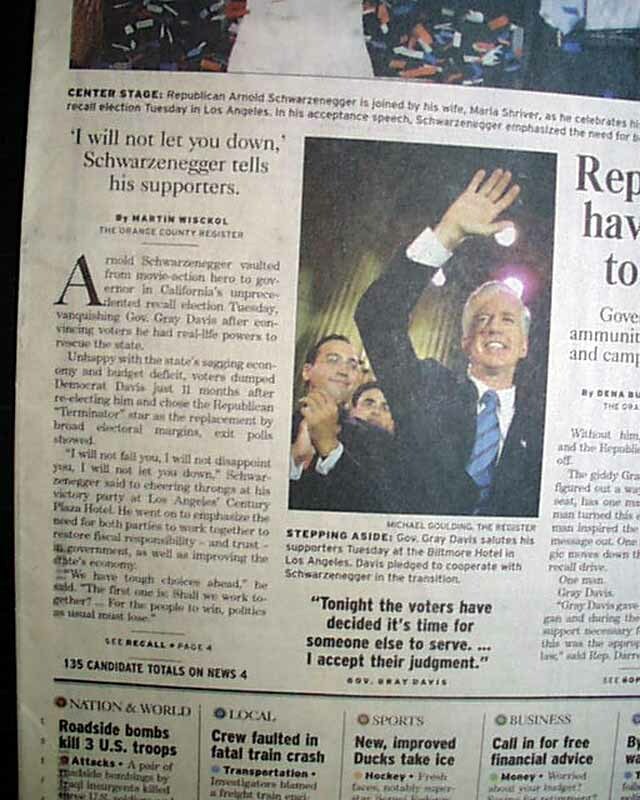 This is the first "news" section only, complete in 28 pages and in very good condition.